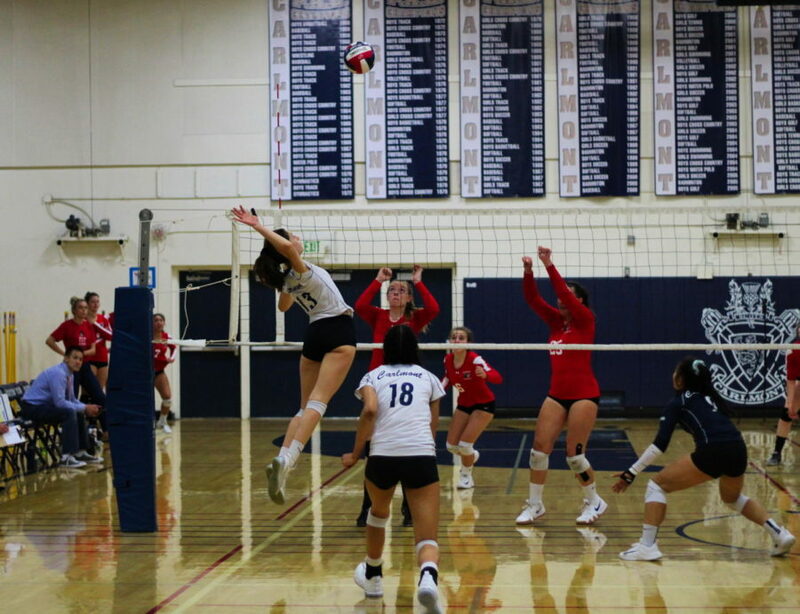 Sophomore Leah McMillen jumps to get a kill against the Burlingame Panthers. 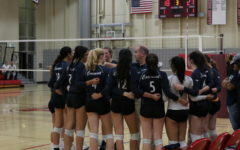 Three matches were all it took for the girls’ varsity volleyball team to take the win against the Burlingame Panthers, advancing their record to 4-3. The Panthers took the first lead of the game, but the Scots immediately fired back and closed the gap making the score 2-2. 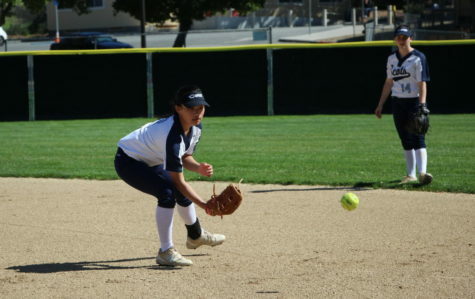 Carlmont struggled to make a few basic plays and Burlingame took advantage. 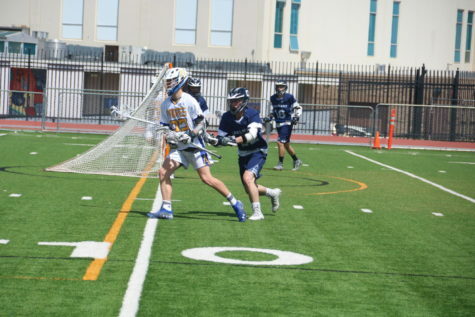 The Scots, however, were able to rally back and tied it up 5-5. After some back and forth, kills by both Alisha Mitha, a junior, and Clara Vltavsky, a senior, allowed Carlmont to go on a run and force a timeout from Burlingame at 14-8. After a timeout, the Scots jumped on the Panthers and were able to produce a 10-point lead, with the score at 19-9. 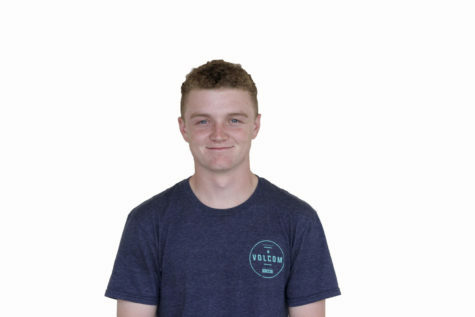 However, Carlmont began to get too comfortable and started to make mistakes. Burlingame monopolized on those mistakes to close the gap to 19-14 forcing a timeout from Carlmont. “We’ve been talking all season about how if the other team gets a point, they get a point, it’s on the scoreboard, and that we just need to forget about it and get the next one,” said head coach Chris Crader. After the timeout, the Scots fought back hard and eventually won the match 25-17. “I think our mindset going forward was just to not get cocky because a team like that fights back all the time and we’ve only played one set so anything can happen. We wanted to make sure we stayed grounded and didn’t get ahead of ourselves,” said Valentina Baehrle, a junior. Elizabeth Prozell and Clara Vltavsky, both seniors, jump to block a spike. 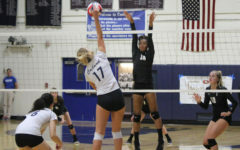 Burlingame took the lead in the second match as well, but a kill from Morgan McClellan, a junior, tied it up and allowed for a six-point run from the Scots, with Elizabeth Prozell, a senior, leading the way. 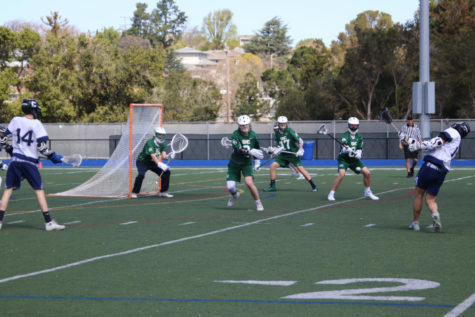 Carlmont had taken a strong lead with the score at 6-1. 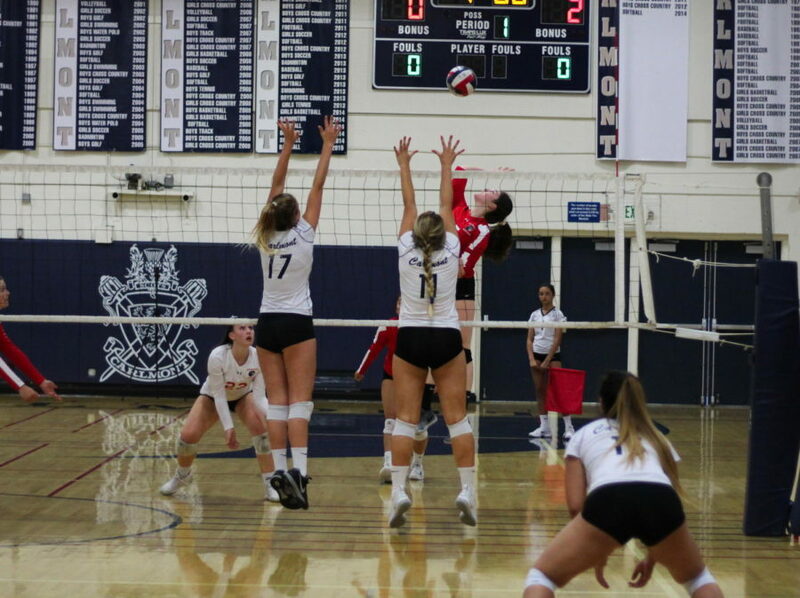 After a short attack from Burlingame, two kills from Baehrle and sophomore Leah McMillen, allowed the Scots to regain their control and push the score to 10-6. Two more kills from McMillen and Baehrle again forced a timeout from Burlingame at 12-7. The Scots were visibly relaxed and showed lots of energy both on and off the court. “The bench is equally as important as the court for us. We try to be as loud as possible because it keeps our hitters and passers hyped up and it has a mental effect on the opposing team,” Baehrle said. After the timeout, Prozell led the Scots on another three-point run and brought the score to 16-8. 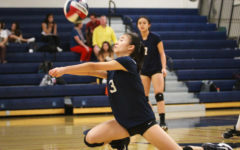 Carlmont’s defense was stellar, only allowing 17 kills throughout the game, with McClellan and freshman Grace Xu combining for 25 digs. More back and forth saw a great rally between the Scots and the Panthers, but in the end yielded a point for Burlingame, bringing the score to 20-13. Even though Burlingame was playing well, the Scots shut them down and won the second match 25-18. “Our confidence definitely increases [after winning two matches straight] and we’re all very happy, but we always say in the huddle that we can’t get too cocky and have to keep fighting until the very end,” McClellan said. 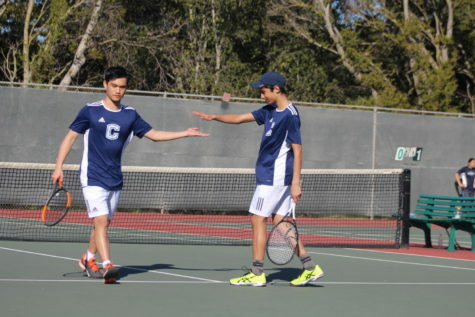 The third match saw Carlmont take the first lead and led by McMillen, they brought the score to 4-0. 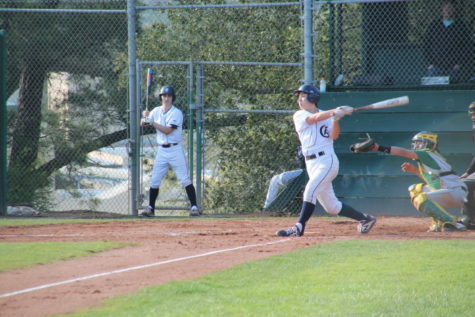 The Panthers made a comeback, however, and brought the score to 5-4. An ace by Katrina Wong, a senior, a kill by Mitha, and a great save from Xu allowed the Scots to get on top 10-5. 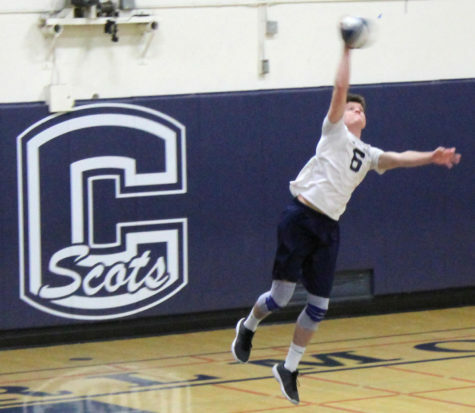 Back and forth between the two teams eventually gave way to a four-point run by the Scots with kills from both Vltavsky and McClellan which brought the score to 20-12. Burlingame responded to Carlmont with a four-point run of their own and forced a timeout from the Scots. The timeout was all the Scots needed to take the game, as Burlingame failed to get a point after it. The Scots emerged victorious with the final score being 25-18. 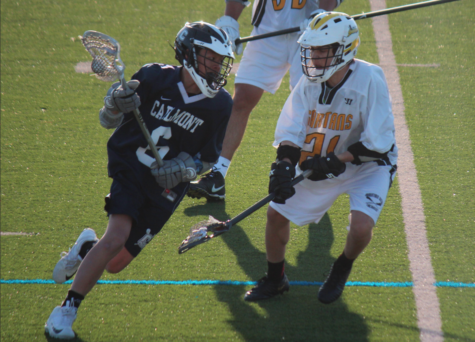 Carlmont overall played extremely well and remained loose throughout the game, which contributed to their easy win against Burlingame.